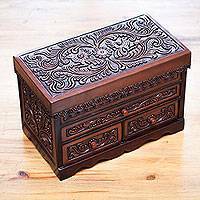 This is the perfect jewelry box to sit on the vanity in our bathroom. 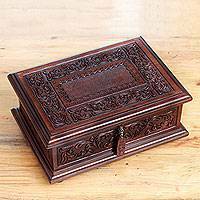 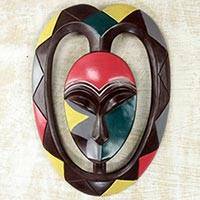 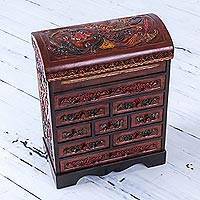 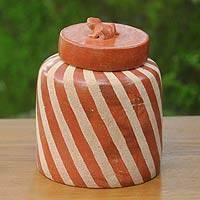 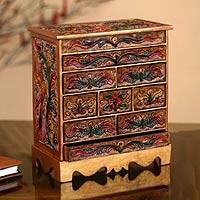 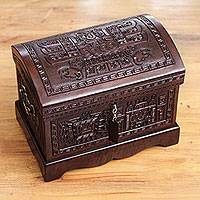 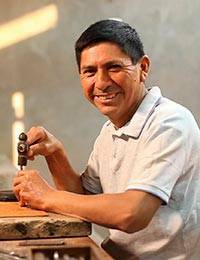 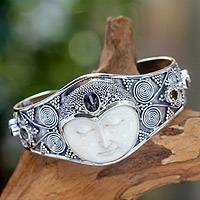 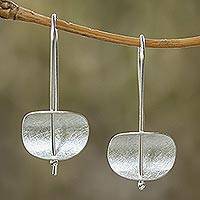 It is beautifully carved and all the small drawers are perfect for my rings and earrings. 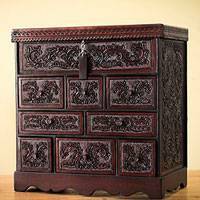 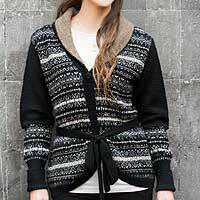 Really wonderful craftsmanship. 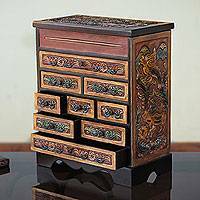 This jewelry box is amazingly intricate, extremely beautiful, and simultaneously very functional for jewelry storage. 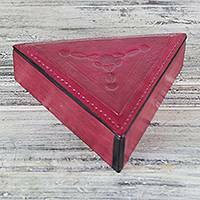 Peruvian Hand Carved Cedar Wood Jewelry Box with Mirror, "Garden Hummingbirds"
Triangular Leather Jewelry Box in Fuchsia from Ghana, "Delightful Triangle"